Scoreboard Vertical is a graphical coat hanger with a lot of possibilities. You can decorate it the way you want it. 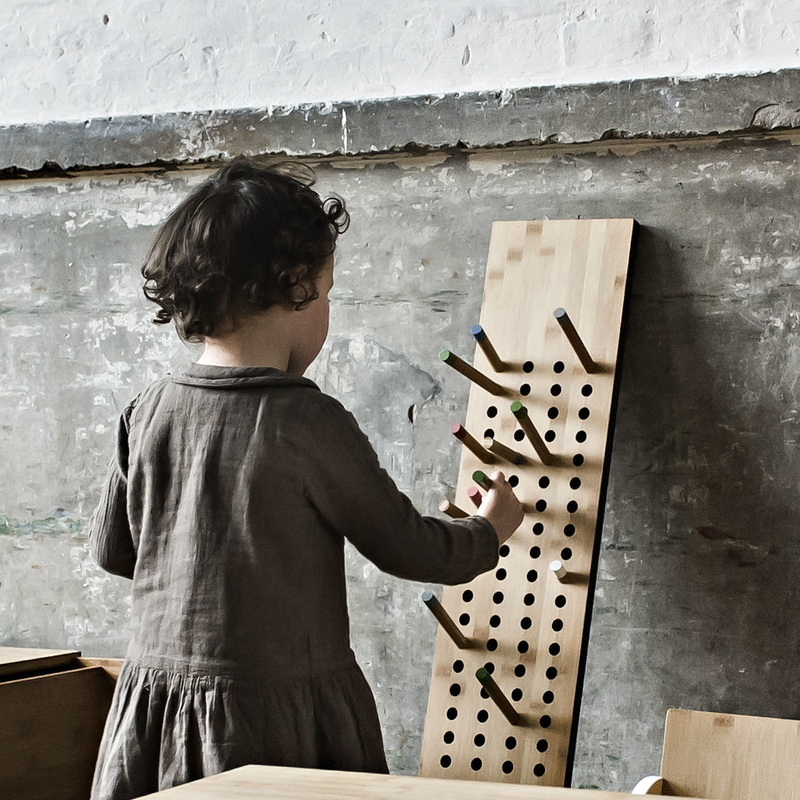 Scoreboard was designed to interact and diversify through countless possibilities. 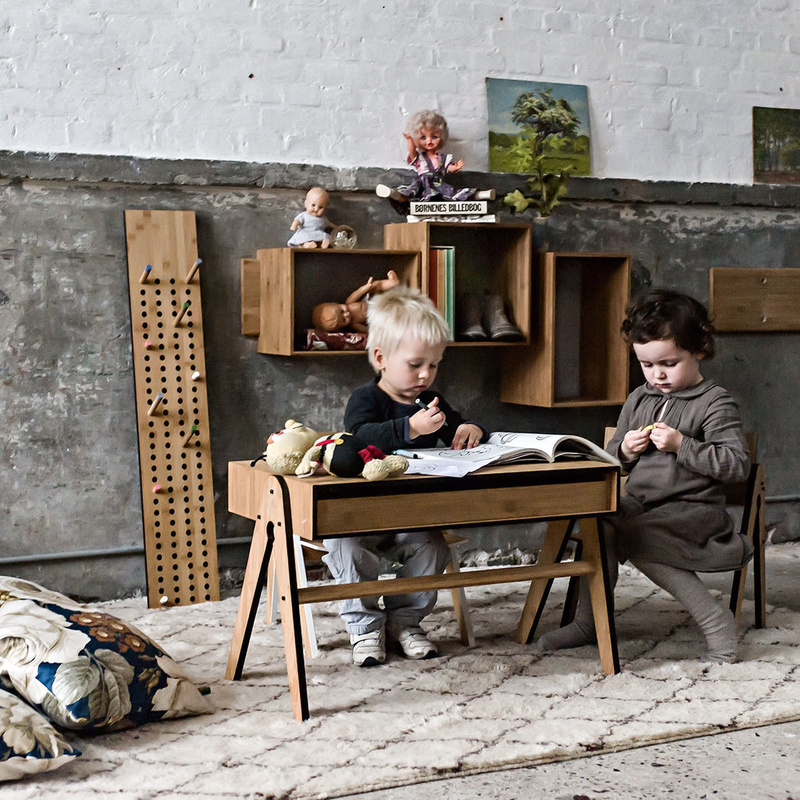 The boards can be used individually or be combined to create a multifunctional piece of furniture. Scoreboard can easily be combined with Correlations Bench or SJ Bookcase - on sale separately on LOVEThESIGN - for multiple storage options. 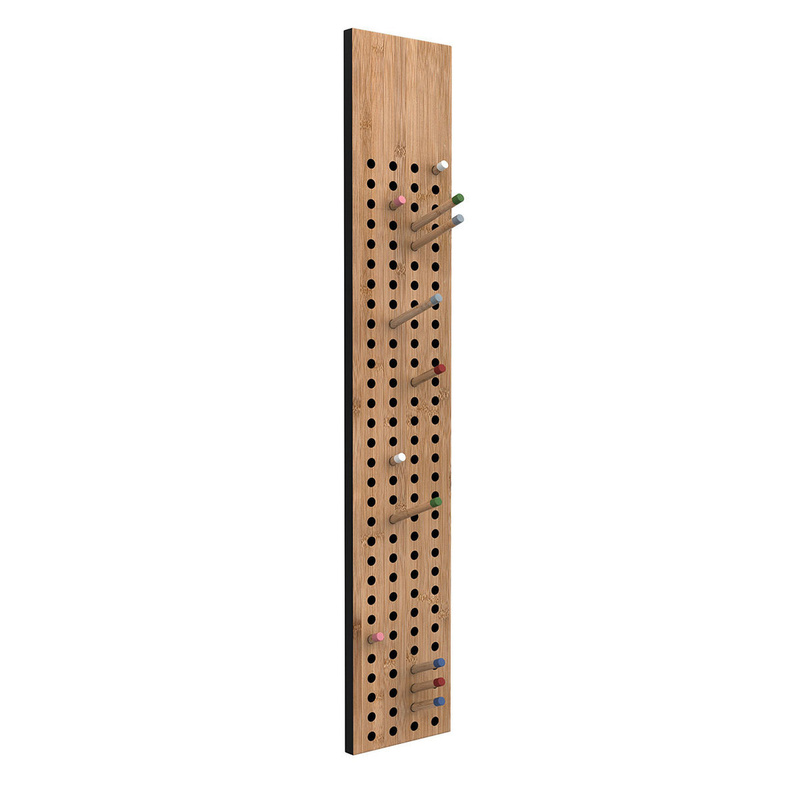 Each scoreboard includes 12 pegs with painted edges and different depths: 4 x 4 cm pegs (2 white, 2 pink), 4 x 8 cm pegs (2 red, 2 steel blue) and 4 x 12 cm pegs (2 green, 2 light blue). Final assembly done at home. Scoreboard Vertical is made from MDF and moso bamboo, a sustainable material that is also very easy to clean with soap and a damp cloth. When you first use it, we recommend that you smooth its surface by sandpapering it (grain 180) in the fibre direction, and afterwards you apply 3 linseed oil treatments for greater shine a flexibility. Moso bamboo is the only woody plant that can keep up with the rate of human consumption and deforestation - the main reason why Scandinavian company We Do Wood has chosen it to manufacture its whole collection. Nobody will save our planet if we don't. We Do Wood only works with certified plantations, as a guarantee that its bamboo is grown without any chemicals, herbicides, pesticides or fertilisers. 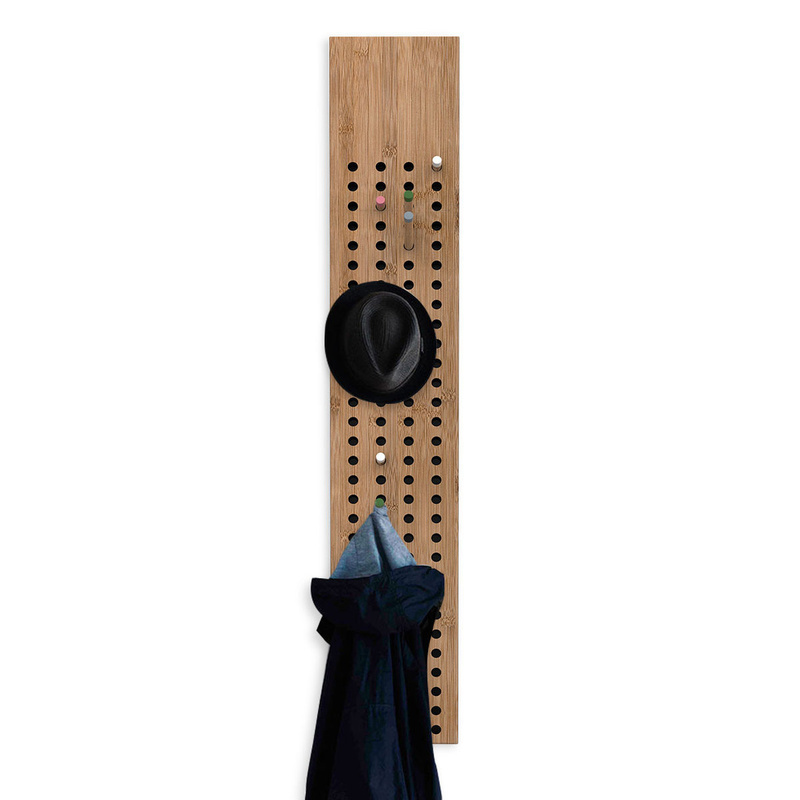 The Scoreboard coat rack is on sale online on LOVEThESIGN also in a horizontal and a smaller style. 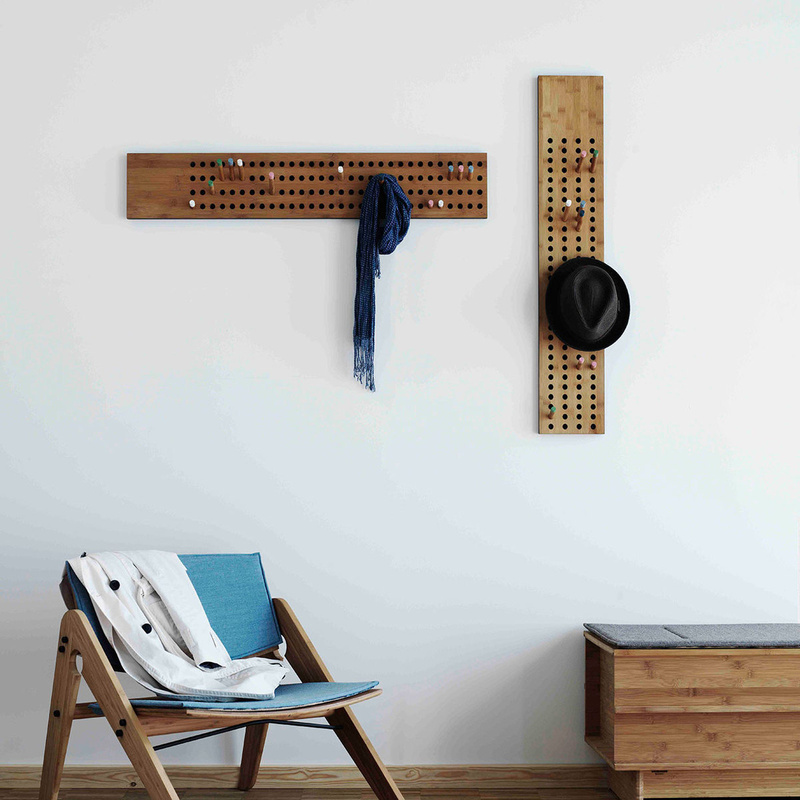 You can use it individually or create a personalised composition for your entrance hall, bathroom or bedroom. 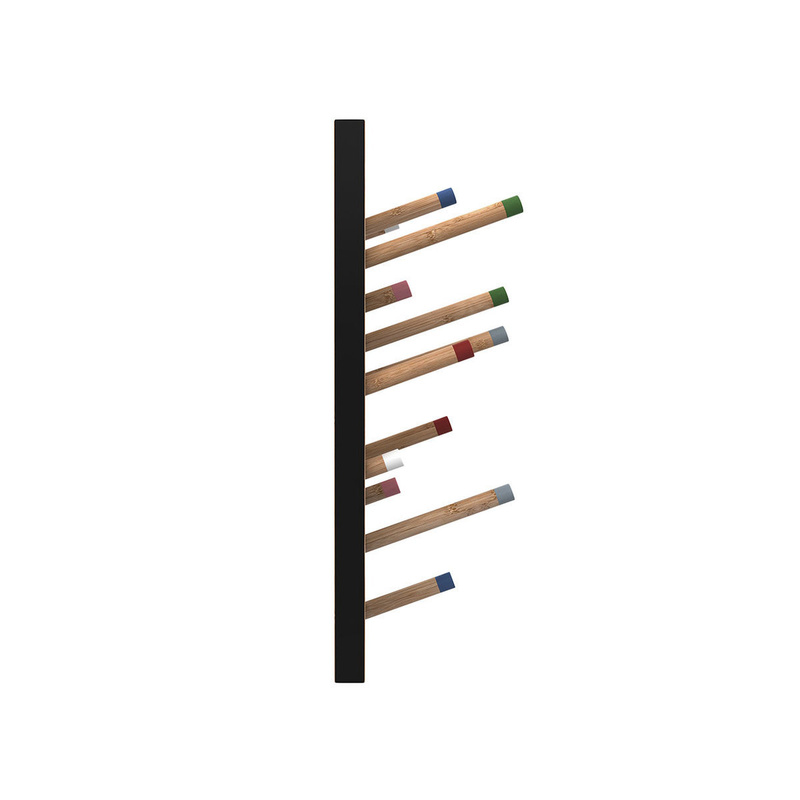 This playful furnishing accessory will prove handy and versatile anywhere you choose to place it. We Do Wood has chosen to design furniture in the material moso bamboo, because it is one of the most sustainable natural resources the world has. And it is the only woody plant that can keep up with the rate of human consumption and deforestation.